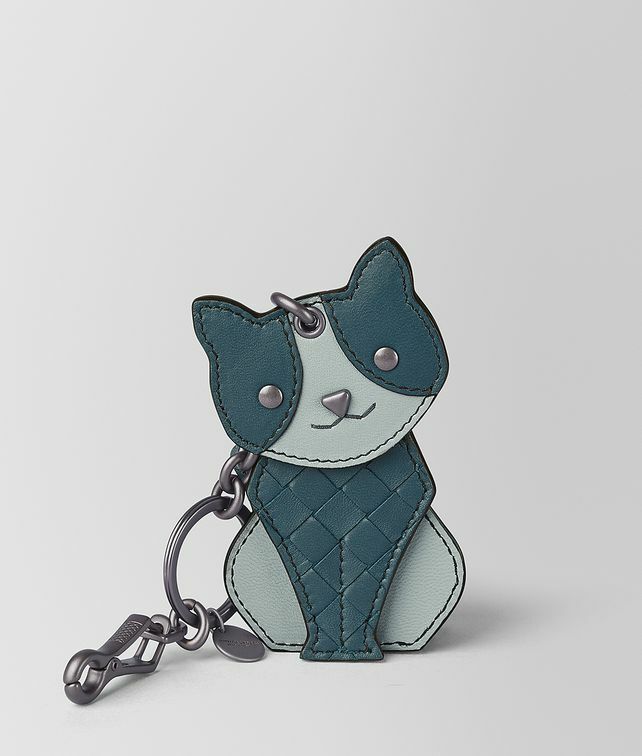 This playful cat charm adds a touch of personality to any bag. Made of three articulated pieces, it is crafted from both smooth nappa leather and iconic intrecciato. Finished with brunito hardware.